A practical insight into the family business sector in India and some of the challenges faced by family firms. How large is the family business sector in India? In India the majority of businesses are in the dominant control of the families. It is estimated that 90% of the business in India is controlled by families. From 'Mom and Pop' Kirana stores to large conglomerates and SME's one finds family run businesses. Most of the big corporate business houses like Tatas, Ambanis, Birlas, Godrej, Wadias, Munjals, Mahindra, Thapars, Mittals, Shaparji Paollonji, Jindals, Adanis, Anil Aggarwal – Vedanta, Bajaj, Ruias, Ranbaxy, Times of India and many more are all controlled by families. The role of family and the family patriarch is quite important in India. There are many families who have separated and partitioned. Some such families have succeeded and the separated branches have also grown big, while in some cases the branches which have separated or the business as a whole have failed or collapsed. There are mixed reports as and when the family separate. What helps family firms in India survive for generations? Most of the family businesses are still not very old businesses. A number of business activities led by families started post-independence and gained momentum thereafter. Since families are concerned about their personal wealth creation and preservation, the brand of their family names, family reputation and goodwill, the elements of self-discipline and self-governance are high. It is noticed that where the inheritance is amongst the immediate family members, for example from father to sons and daughters, the first level inheritance which implies two generations running the family business, the chances of disputes and succession related issues are manageable. However, the problems arise when at the first stage it is the father and his brothers who are running the family business and the next generation of each of the brothers also start joining the business. There are several families who have undergone partition or disputes at this stage. Indian families have been exposed to these challenges and in the interest of family business, family wealth, goodwill and family reputation the family arrangements have been made or the family constitutions have been written to protect the interest of each branch of the family. Wherever these sensitive issues have been dealt with professionally the family business has survived. Are family businesses becoming the norm and more accepted as a successful business model? In India traditionally the family business is the norm. The trend continues. However, there are certain business houses where the professional teams are taking over to run the empires. These cases are also multiplying as the wealth is growing at different levels. The recent cases are of Tata Group where a serious head hunting programme was done to find a successor to Mr. Ratan Tata. Mr. Mistry was appointed to head the Tata Group. The famous IT company Infosys has seen the change at the top level when Mr. Narayan Murthy has been successful in appointing the well-known professional personality Mr. Vishal Sikka to head the business founded by him. Family business remains the norm for a large section of society in India and is not going to fade away. There are obvioulsy going to be exceptions depending upon the size and nature of business. If the family businesses are planned properly and the family plans professionally on their investment companies and business operating companies the same shall continue to be a successful business model. In a growing economy and in view of the global reach family businesses are undergoing changes and the element of professional management and professional participation is increasing which is the key to a successful business model. Today the young generation of each family is well educated, exposed to global standards and situations and trained for professional management which all lays down a robust foundation for future stability and growth. What are the key challenges facing family firms in India? Inter family disputes, the patriarch acting as a control freak, lack of professional management and professional participation, absence of family constitution on running of business and handling family wealth, lack of written understanding to address any conflict, lack of communication amongst the family members, unsound and unfair policies for the employees, lack of quality controls and to keep pace with the modern techniques and advancements are the key challenges to any family firms in India. Are family firms changing the way they are managed/governed? The family firms are certainly changing the way they are managed and governed. The decision making ability in a family run business is high, however, to manage the business professionally and to get the right talent to run the business is always a challenge in even large business and corporate houses. There are many business houses where the trend is changing especially where the young generation is educated, and educated well in India and overseas, and the new generation realises the value which can be added by the right governance structure, right talent and right delegation. The new generation is also keen to have alliances and joint venture in India and overseas. The world is flat and global opportunities are available by way of FDI, JVs, and equity participation which is being experienced and realised by the youth and the new generation. Furthermore, the ideas of listing the company in India and/or overseas and creating value is also on the wish list and dream of the new generation. It can be noticed that large families are shrinking to unit families; and families today are willing to give chance to next generation. The families are increasingly retaining professionals to run the businesses and are also interested in settling down the succession related issues relating to their personal assets as well as running of business in a professional manner. Is succession planning a big issue? Increase in wealth and also increase in the number of HNIs and UHNIs. There is a noticeable increase in wealthy Indians and with wealth comes a serious requirement to plan the succession so that the wealth is preserved and not destroyed. Most of the business houses are often exposed to local and overseas liabilities owing to their borrowings or trade related activities. This compels them to plan for asset protection trust in good times when the creation of such a trust and transfer of the assets to such a trust is not perceived as a fraudulent transfer. This requires an early and matured planning. Wealthy Indians have assets in India and overseas. Today the succession planning is not required only for Indian based assets, it is also important and imperative in the global context. The Indians living in USA or the NRI community or persons of Indian origin living in USA and inheriting assets in India are potentially exposed to global taxation and have to plan for their estate and succession accordningly. Nuclear families have a need for succession planning and services around succession planning as people want to know how to do their Will and whom to appoint as the Executor and with whom to keep the safe custody of Will. There is a possibility of the introduction of Estate Duty again and if this happens all concerned will have to do the succession planning in a proper way to ensure smooth succession which is economical as well. How do families in India plan and manage succession? The practice and philosophy is different for each family depending upon size of the family, the family wealth, their needs and the nature of business or professional activity. There is no uniform practice on this. Most of the families are happy and content to do their Wills and to declare their wishes on inheritance in their Wills. The families with substantial wealth or special needs or for asset protection from creditors in worst case scenario prefer to prepare their Trusts and do the planning accordingly. Increasingly families are looking for a mixed structure which encompasses Will and Trust both to plan the succession for themselves and their next generations. Large business houses as well as large families are increasing taking professional help to write the Family Constitution and to put right legal structures in place so that one member or one set of family members are not in a position to create any embarrassment or legal disputes or disadvantageous situation for the family. One such example is where shareholding of the company is with multiple family members. To check any mischief it is an increasing trend that instead of holding the shares in individual names, who may transfer the shareholdings, either the shareholdings are kept in a Trust or some kind of escrow mechanism so that the other family members may have the right of first refusal in the event of sale of shares by one family member or one branch of family. All these are serious issues and increasingly the professional help is sought by families to balance such conflicts or potential disputes. Do family patriarchs struggle with letting go? Family patriarchs are often horrified when faced with the idea of succession and business planning which may require softening of the tight grip on business at their end. Most Indian business families are not ready and willing for this shift. Therefore even where Trusts are formed or strategic estate and succession planning as well as business succession planning is done, the family patriarch still prefer to be in commanding position. The trend is slowly changing and evolving. The last two years has witnessed mushroom growth in the number of players involved in this industry including the law firms, CA firms, wealth management companies, Family Offices, the local Trusteeship companies as well as international Trusteeship companies. Some of the top business families including GMR, Godrej, Daburs have come out with a family constitution which governs the succession related issues. The trend is emerging and it is expected that once there is a maturity in the industry and more professional managers are introduced who are credible the element of letting go will settle down well. How do the next generation prepare for roles in the family firm? The next generation today is matured, well read, exposed to western world, generally educated and trained abroad and hence more armed with knowledge, ideas and information. The example of FLIPKART is mind boggling. The young generation is now leading by examples and are capable, responsible and instrumental in creation of large wealth. Young generation needs the guidance and experience of the seniors in the family to run the businesses in a matured way. The experience of elders combined with the modern knowledge and information as well as the passion of the next generation is the key to success. Next generation is willing to take professionals on board on their businesses. The professional legal and accounting firms as well as investment banking firms are playing an important role It’s the young generation who are quite willing to seek professional help in today’s complex business environment where for any business activity the elements of foreign jurisdictions, taxation treaties with other countries, the law, rules and regulations of foreign countries are to be kept in mind. The professional help on Family Constitutions, Family Councils, the issues on division of responsibilities based on capabilities and sound rewarding system based on performance even for family members is being carved out. There is increasing participation of women / females in the family businesses. All this require sound planning on the business structures and business entities which cannot be ignored. The young generation today aspires for listing of companies on the exchange, foreign direct investments in their ventures by way of private equity or loans, joint ventures etc., which again require a sound professional approach. The roles in the family are being carved out on the basis of performance and capability levels. Where the talent is not available in the family the professionals are being retained and family wealth is shared with them on agreed parameters by offering the equity in the business on the agreed terms. What makes Indian family firms special? In India there is a huge emotional connect in addition to the business aspirations. 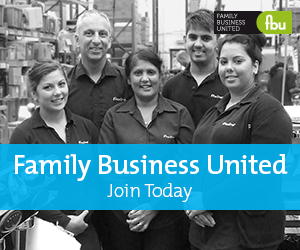 Families have established and running large businesses which are growing further. The commitment levels and the passion has been astounding. What makes it special is the relentless participation of the next generation in the existing businesses for further growth with a modern and a very matured professional outlook. Today the young leaders are on the block from the families of Ambanis, Jindals, Mittals, Adanis, Godrej, and so many other illustrious families. All this makes the Indian Family firms special. This pattern holds good for the SMEs and small partnership firms in the country.